… The psychotherapist-patient privilege (in some states, the privilege is otherwise named) exists in most if not all states in order to protect the privacy of the patient or client. 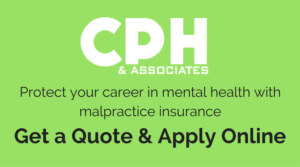 In general, the privilege belongs to the patient, and the patient has certain rights under certain circumstances to prevent their therapist or counselor from testifying in court or at a deposition, or from producing records when subpoenaed to do so. One of the questions raised by those who do group therapy or counseling is whether or not the psychotherapist-patient privilege is waived or compromised by the fact that there are multiple people in the room when the confidential communication is made. The answer depends upon state law and any judicial interpretations that may exist in case law. In one state, for example, the law (statute) essentially makes clear that a confidential communication between a patient and a psychotherapist maintains its confidential character even though the communication is disclosed in the presence of others, as in group therapy or counseling. This is so only if the communication is disclosed to the others in the session and where such disclosure is reasonably necessary for the accomplishment of the purpose for which the psychotherapist is consulted. In other words, since each member of the group is present to further the other’s purposes in the group therapy or counseling, the confidential nature of the communication is not lost. Generally, it is the confidential communications between mental health practitioner and patient that become privileged. In the state referenced above, the law provides that the privilege statutes are to be liberally interpreted, so that the patient’s privacy is protected wherever possible. The law also recognizes that there may be joint holders of the privilege, and that a waiver of the right of a particular joint holder of the privilege to claim the privilege does not affect the right of another joint holder to claim the privilege. Thus, if a participant in group therapy or counseling were involved in a lawsuit, perhaps as a plaintiff, and if the opposing lawyer found out about this fact and subpoenaed the therapist or counselor to testify, the therapist or counselor would initially assert the privilege. Thereafter, the attorney for the plaintiff, together with his or her client, would decide whether the privilege was going to be claimed or waived. Sometimes the privilege may be waived as a matter of law, such as when the plaintiff puts his or her mental or emotional condition into issue in the lawsuit. In the absence of such a waiver by operation of law or otherwise, the participant (plaintiff) in group therapy does not typically lose the privilege because of his or her participation in group therapy. Since state law varies, practitioners must see how their particular state treats this issue.